Princess Beatrice and Princess Eugenie may not be official working members of the royal family, but it's clear that their net worth is far more than the average person. The York sisters have always been somewhat of a mystery when it comes to their job, salaries and money – given that they do not work in an official capacity for the Queen in the same way that Catherine, William, Meghan and Harry do. But their estimated worth is certainly nothing to sniff at. In total, it’s estimated that Princesses Beatrice and Eugenie together have a net worth of £3.6 million, as reported in OK! magazine. 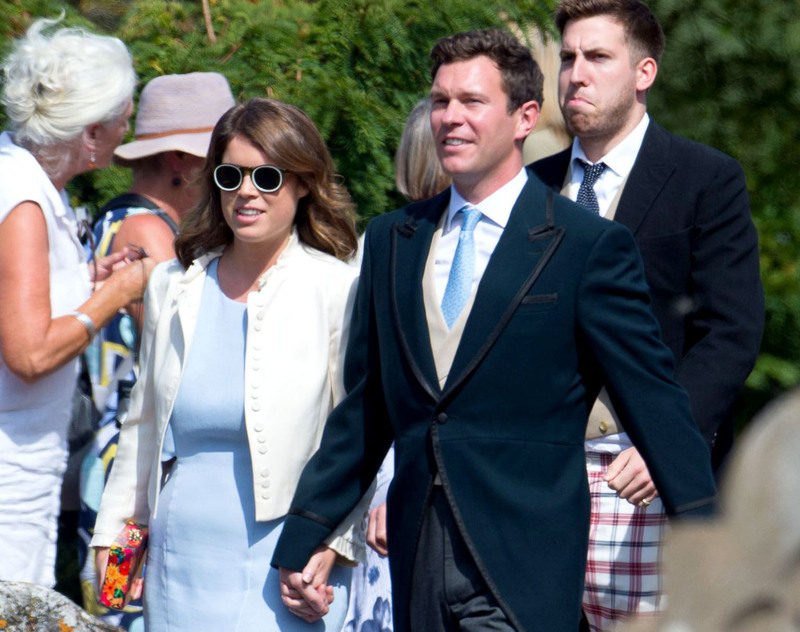 And it’s now been revealed that when Eugenie marries her fiance Jack Brooksbank, the pair will have a pretty impressive combined net worth themselves. It’s thought that Jack has two sources of income. His main one comes from his job as brand ambassador for Casamigos Tequila company (founded by George Clooney, nonetheless). According to Paysa, the job is likely to pay around £45,000 a year. Jack also has another side business, his wine merchant business Jack Brooksbank Ltd, which reportedly earns him around another £14,000 a year. And while Eugenie’s fiance isn’t royal, he comes from a line of noblemen – the Brooksbank baronets. So there’s every chance that Jack has, or may soon, come in to some family money. This means that Jack and Eugenie’s total shared income will be around the £2 million mark – certainly not too shabby. Similarly, Beatrice and Eugenie’s income also comes from lots of different places. So where do Eugenie and Beatrice earn their money? Unlike their older cousins William and Harry, the Princesses actually have normal day jobs. Princess Eugenie has spoken extensively about her career in art, and she currently works as a director at the London gallery, Hauser and Wirth. Detailing her every day routine in a feature with Harper’s Bazaar, the Princess reveals that she starts work at 9am. She said, “I start at work. The Hauser & Wirth London office is on Savile Row. Reportedly, Eugenie could be earning up to £110,000 a year for her role at the gallery – undeniably a decent salary. As for Beatrice, it’s thought that she works for a technology company in America, where she is currently based. It’s not clear what salary she would be receiving, but it’s safe to assume that it’s above the national average. But a hefty amount of the sister’s net worth actually come from inherited family money – not surprising, considering who their grandparents are. Reportedly, Eugenie and Beatrice were given a large amount of money from the estate of the Queen Mother, like their cousins William and Harry. While it’s thought that the Duke of Cambridge and the Duke of Sussex were given £14 million altogether, it’s expected that Beatrice and Eugenie may have received a more modest figure, although still in the millions. It is reported that this money has been kept in trust funds for Prince Andrew’s two daughters. And that’s not the only family money the girls have been given. They reportedly were given a large sum of money after their parents, Sarah Ferguson and Prince Andrew, divorced in 1996. As such, the Princesses are worth roughly the same as their new family member, Meghan Markle, who is estimated to be worth around £3.8 million, according to celebritynetworth.com. This is reportedly due to her earnings from her TV drama Suits, her commercial deals, and her now-defunct lifestyle website The Tig. Harry, on the other hand, is said to be worth a whopping £30 million, gathered from trust funds and his former Army career.